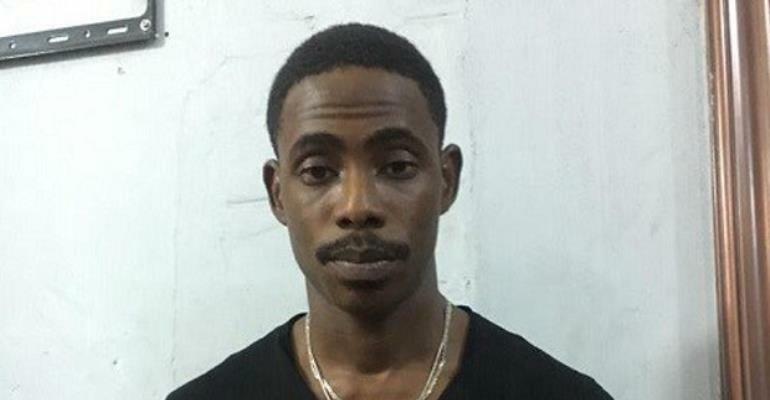 The Greater Accra Regional Police Command has apprehended a 29-year-old man they suspect is one of the killers of undercover investigator and a key member of Anas Aremeyaw Anas’ Tiger Eye Private Investigations team, Ahmed Hussein-Suale. The suspect Abdul-Rashid Meizongo was arrested by the Accra Regional Special Weapons and Tactical (SWAT) team of the police upon police intelligence. He was nabbed at the West Hill Mall at Weija in the Ga South Municipality yesterday. The acting Greater Accra Regional Police Commander, Deputy Commissioner of Police, (DCOP) kweku Boadu Peprah, who confirmed the arrest to DAILY GUIDE, said Meizongo was grabbed around 10:30am. According to him, the suspect had wanted to bribe the arresting team with an amount of GH¢20,000 to set him free but it was declined. Ahmed was shot three times, twice in the chest and another in the neck on January 16, 2019, at Madina in Accra by unidentified men, while he was driving home on a motorbike. The deceased was one of Tiger Eye journalists whose photographs were circulated in ‘Who Watches the Watchman,’ a documentary by Member of Parliament (MP) for Assin North, Kennedy Agyapong that criticised Anas' work. The Director General of the Criminal Investigations Department (CID), Commissioner of Police Maame Yaw Tiwaa Addo-Danquah, at a press conference organised a week ago, revealed that two key witnesses were assisting forensic artists to come out with artistic images of the killers to aid in their investigations. She mentioned that so far 13 people have been questioned in the course of their investigations while one is on remand. Family members of the murdered Tiger Eye operative have been invited by the police following the breakthrough. A DAILY GUIDE report earlier had it that one of the men suspected to have shot and killed Ahmed Hussein-Suale was indeed arrested, but let off the hook by a police patrol team. Two suspects were arrested by a team put together by the family to assist the police in arresting the suspects. The second suspect was said to have been left off the hook by the patrol team, which was supposed to take him to the Kotobabi Police Station. A family spokesman, Alhassan Yunus, made the startling revelation in a narration to the paper. The first arrest, according to him, was made at Ritz Junction in Accra at a location on the Madina-Adenta highway after the Madina Police were told about the plans, Yunus told DAILY GUIDE. Alhassan Yunus said that a tip-off showed them that the suspect had been frequenting the location. “We received another tip-off about a second suspect at a place called Polo Park near Kotobabi and not the location the CID chief put out in her briefing,” he added. A four-man patrol team, which was notified about the operation, looked on as we undertook the operation leading to the arrest of the suspect. Some young men charged upon us but when we told them that he had murdered somebody they allowed us to take him away,” he said. The patrol team headed towards the Kotobabi Police Station but on the way they released the suspect. “We waited for a long time and when the patrol team arrived the suspect was not with them. When we demanded the whereabouts of the suspect the policemen said the suspect made a call after which they were asked to release him which they obliged. They claimed that there was an order from above for the release,” he said. Abronye's allegation was denied by the Nima Divisional Crime Officer Chief Superintendent/Mr. William Daah after the paper had made a call to the Kotobabi Police Station Crime Office to authenticate the story. “Of course, there could have been an entry when the suspect was not even brought to the Police Station, having been left off the hook after the strange call and order from above as the patrol team alleged,” a security expert said.